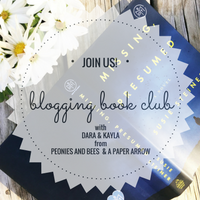 Over the past couple of months, I've gotten to know Dara from Peonies & Bees a little better and we decided to create a book link up. 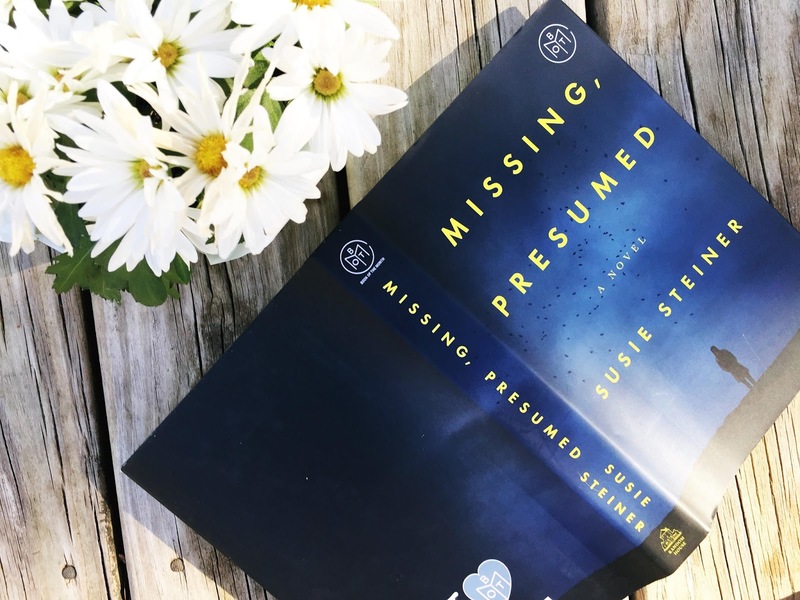 You're free to link up any recent book-related posts. As for us, we chat about a new book each month and invite you to share your honest thoughts on the book as well. Last month, we talked about Swimming Lessons by Claire Fuller. This month? Missing, Presumed by Susie Steiner. Make sure to join the conversation in the comments below. Warning, there are spoilers ahead! 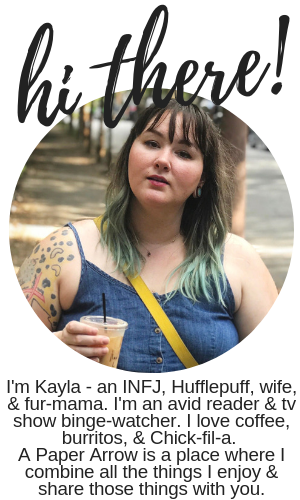 Kayla: I enjoyed reading it, but I definitely hoped for different outcomes. I saw the characters almost all going in different directions. I was actually super happy for Manon at the end, but the twist was so ridiculous. Dara: I kind of hated Manon. I thought she was the WORST. Her 'relationship' with the dog walker (I can't remember his name) was cringe worthy. But I enjoyed her tiny warm heart when she bought the little kid a jacket and paid for his food. I liked Edith's mother, I wanted to learn more about Edith's brother and boyfriend though. I feel like the author didn't explore that too much. K: The older man that dressed funny? I can't remember his name either. I think Manon had a good heart, which was her redeeming quality but she played pity on herself too much when it came to her love life. I agree about Edith's mother. I was glad that she was basically like "WTH?" at the end. And yes, more of the bf and brother! Definitely more of the boyfriend. I never figured out if he was suspicious or not. D: Yeah, it but it felt slightly irrelevant to add the failed relationship into the story. I did NOT see that ending coming. It felt so.... Idk like the author couldn't figure out how to wrap up the book. So she was like, ‘OK dad decides to have an affair with a rando construction worker, gets blackmailed, decides to kind of murder him, Edith see, and runs.’ I also wanted to learn more about that... it would have been interesting to hear it from the construction workers (ugh can't remember his name) point of view. Or even from the dad. K: Yes. I felt that it got super weird about halfway through! I felt the need to finish it, and I DID enjoy the book. I just felt like there were too many side plots that I would have liked to have way more information on. We didn't have enough perspectives from people that I feel we should have had perspectives from. K: And I felt like it was really corny that they made Edith an activist in a very stereotypical sense of the word - it almost seemed comic relief. D: Omg I know. No banks? Give me a break. It was a bit hard for me to accept that she simply just left the UK because she felt like she 'couldn't go back.’ And for that, I gave it 3 stars on Goodreads. It just felt frustrating. K: Yeah! Who does that? ‘Oh, no. I can't do this. I'm going to severely injure myself on a wine glass and leave the door open and run away.’ It literally made no sense. Who would do that to their family? K: What about Davy? I really liked him, and thought it was interesting that he was in a crappy relationship, when you usually see the boyfriend being the issue (not the gf). I wanted great things for him! D: I adored Davy, and I really liked that he felt personally responsible for the best friends suicide. It was an interesting shift in attitude after the suicide. I liked that he became slightly jaded and finally ended his crappy relationship. K: I think he was probably the best character in the book. He genuinely cared about everyone. D: He was sweet. I feel like anyone named David, who prefers to go by Davy is going to be a nice guy. Maybe I was harsh with the 3 stars, because the story definitely held my interest as well. K: I gave it a 4, because it kept me intrigued, but some things were a little over the top! To say the least. Next month, we'll be chatting about The Fall Guy by James Lasdun. These chats and linkups take place the last Tuesday of each month, so make sure to stop back by on March 28 to talk about The Fall Guy. For now, link up below! Interesting blog content. I was able to find out some different useful facts in education that can help in every individual to have a strong motivation to their study. From this content, many students will surely get a lot of good benefits from it. Thank you for sharing your ideal thoughts.